Thank you for always reporting from California. 3985 kHz is always crushed by North Korean Jamming. in California like local broadcasting. 4885 kHz. This audio is a news program called "Onule Soshi"
4885 kHz. Ron-san's audio clip (00:00-00:12) is talked as follows. Today they met in Japan, ..."
↓録音↓ 4885kHz 5/17水 2243'12"-2244'42" / 5/18木 0143'07"-0144'37"
↓録音↓ 4885kHz VOH 5/20日 2336'15"-2239'30"
↓録音↓ 4885kHz VOH 5/22火 0314'51"-0318'51"
↓録音↓ 4885kHz VOH 5/27日 0555'50"-0558'20"
↓録音↓ 4885kHz VOH 5/27日 2159'43"-2202'53"
↓録音↓ 4885kHz VOH 6/10日 0059'15"-0101'05"
↓録音↓ 4885kHz VOH 6/10日 0157'43"-0159'33"
↓録音↓ 4885kHz VOH 6/10日 0256'11"-0258'11"
-1826 (0926 UTC)- ♪Dumb Dumb by Red Velvet featuring North Korean Jamming on 9100 kHz. Ha ha... Oh my goodness! But this North Korean Jamming will be relieved if it is on the LSB side. Thank you for always exposing clear audio. Your 4885 kHz audio is perfectly catching VOH's huimang SJ, chime and SA. Your 9100 kHz audio is recorded at the moment when North Korean jamming stops, it is nice catch! I also checked for the start and end of North Korean jamming. But I did not record it. Red Velvet's song was the best in American hip-hop style! KOREA SOUTH. Echo of Hope - VOH, 1355 UTC, on June 23. VOH on 5995 kHz can be received very clearly without North Korean super jamming. I listened to your audio (04:35) at http://goo.gl/HyWSCV . 00:06-00:15 "Yeoleobun-e VOH. Huimang-e meali bangsong." In English "Your VOH. Echo of hope broadcasting." Program SA at 01:59, "Huimang-e meali kaempein"
02:30-02:33 Program greetings, "Dongpo yeoleobun, annyeonghasibnikka? Saengsaeng Korea, --- ibnida." In English, "Hello! Everyone of my compatriots. Fresh Korea, I am ---." * I could not catch the name. When listening to your audio, I referred to the following article. ** TNX! Chulsu from Seoul, South Korea. "i cheon sam nyeon Pyeong-yang jeongug nolae jalang"
"2003 Pyongyang amateur singing contest"
5995 kHz. with no NK-jamming!!! 3985 // 6250 // 6350 with NK-jamming. 9100 kHz. with some NK-jamming part of the time. 4885 kHz. with no NK-jamming. I am always thankful for your report. VOH's program composition has become a two-hour frame. KOREA SOUTH. 4885, Echo of Hope - VOH, 1248, March 3 (Sunday). 5+ minuteaudio at http://bit.ly/2tW74mV . "ieoseo inteones paskaeseuteu EASY ENGLISH-leul bonaedeulibnida." "The next program is EASY ENGLISH from the Internet podcast." Korean reading : "teugjib-yeongeug, tong-il KOREA"
English : "Featured drama, Unification KOREA"
"isang-eulo teugjib-yeongeug tong-il KOREA-leul bonaehaessseub nida." "This program is featured drama, Unified KOREA." ** "Today's News" is a weekly comprehensive version on Sunday and Monday. 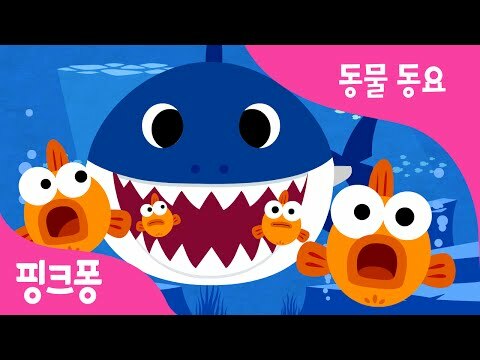 ** "Lively Korea" is KBS World Radio Korea Broadcasting, re-edits some corners and broadcasts. ** "Easy English" is a program of podcasts of Korea EBS Radio.